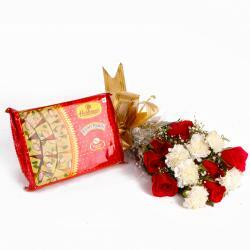 Product Consists: Bouquet of 18 Yellow and Red Roses with green fillers along with Box of Kaju Katli Sweets (Weight : 500 Gms). 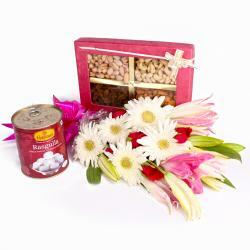 This gift hamper is special and it can be more special when it is sent to your special person. This hamper comes along with vibrant mixed red and yellow roses bouquet and kaju katli box which are the symbol of love and affection. Have the best surprise for your loving partner or friend on any occasions like Birthday, Anniversary, Navratri, and Children Day you need not always have a special occasion to send this creative gift to anyone. Gift this flower combo to your best ones just like that too. Along with this, send other Gifts to India through Giftacrossindia.com to be delivered in a safe and speedy mode. 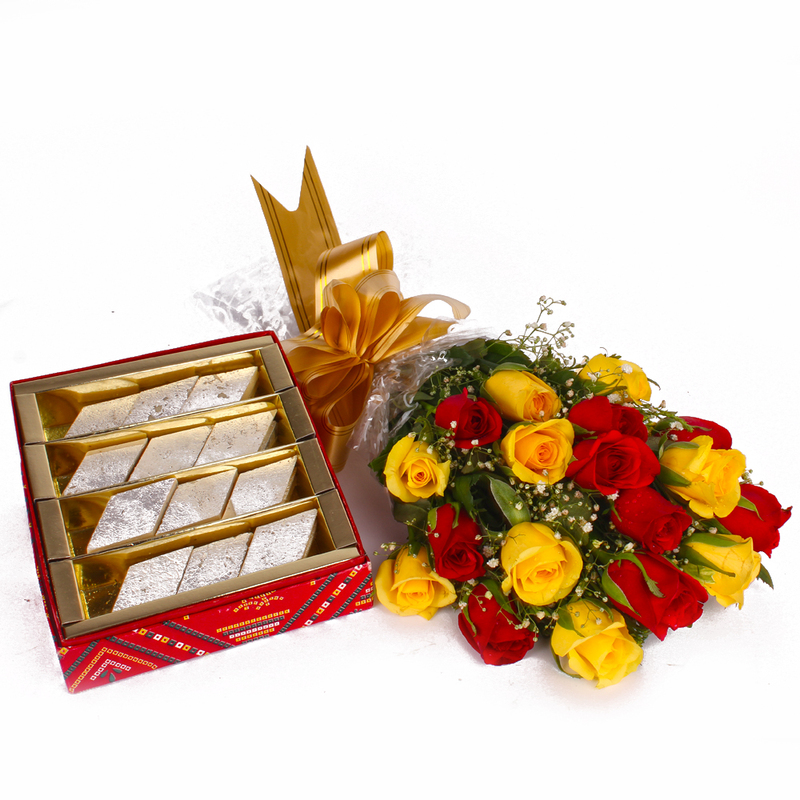 This gift hamper contains : Bouquet of 18 Yellow and Red Roses with green fillers along with Box of Kaju Katli Sweets (Weight : 500Gms).